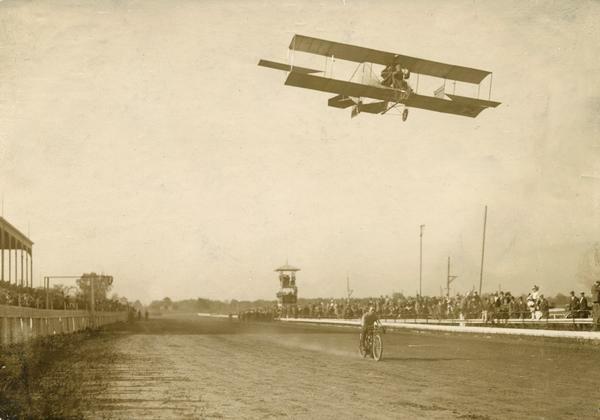 Pilot John Kaminski racing a motorcycle at the fairgrounds. Milwaukee pilot John Kaminski frequently used this photograph in publicity while he flew for the Curtiss Exhibition Co. Variously identified in clippings in Kaminski's scrapbook, this photograph is though to document his exhibition appearance at Elgin, Illinois. Races with motorcycles or automobiles were popular exhibition events.